His eBird checklist was a start. It communicated that Davies’s dream day of birding at the Tadoussac Bird Observatory in coastal Quebec on May 29, 2018, included 108,000 Mag­nolia Warblers, 144,000 Bay-breasted Warblers, and 50,000 American Redstarts. In all, Davies (an eBird project coordinator at the Cornell Lab of Ornithology who went birding on a vacation day) and his five buddies recorded an estimated 700,000 mi­grating warblers—a full half-million more warblers than any other eBird checklist in history. Magee Marsh Wildlife Area on Lake Erie has recently claimed the mantle of “Warbler Capital of North America,” and for good reason. Warblers on migration from several converging flyways congregate here by the thousands to refuel before crossing the Great Lakes. Almost 40 species of warblers have been reported at Magee Marsh. A mile-long boardwalk through the heart of prime stopover habitat—a scrubby wetland with a wide variety of trees and shrubs—ensures that birders get an up-close look at the birds. The spectacle has given rise to a week-long festival in May: “The Biggest Week in American Birding.” Canada Warbler in Magee Marsh by Tim Hopwood via Birdshare. Chico Basin Ranch is a cattle ranch with paid public access ($15/person) on the high prairie of eastern Colorado, along the Rocky Mountain front. Surrounded by sparse prairie, the ranch is an oasis of water and trees—springs and lakes alongside stands of cottonwoods—that make for a tempting stopover spot for migrating birds. Despite the western locale, many eastern migratory bird species come through the area in late April and May on their way from Mexico. More than 330 species of birds have been sighted on the ranch, including 36 species of warblers, such as Yellow, Blackpoll, and Virginia’s Warblers. Wilson's Warbler in the Chico Basin by Bill Maynard/Macaulay Library. Kennesaw Mountain is the highest point in the metro Atlanta area, and Kennesaw Mountain National Battlefield Park is one of the area’s largest green spaces. This southern Appalachian foothill acts as a beacon for migratory birds, attracting more than 30 warbler species during the peak of spring migration, according to eBird records. 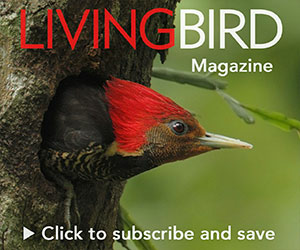 Giff Beaton, an eBirder and author of the local guidebook Birds of Kennesaw Mountain, says it’s possible to see 20 warbler species in a single day simply by walking up and down the paved Mountain Road that leads to the summit. Black-throated Green Warbler on Kennesaw Mountain by Andrew Baxter/Macaulay Library. Butterbredt Spring—a 90-minute drive east of Bakersfield—is an oasis of green on the edge of the Mojave Desert. The spring enables a few acres of lush cottonwoods and willows, as well as a cattail marsh, to flourish in a landscape otherwise dominated by rocky hills and sparse shrubs. According to eBird, 29 warbler species have been seen at Butterbredt in May, with some notable high counts: 400 Townsend’s Warblers in a single spring day in 2013, and 2,500 Wilson’s Warblers in 2014. The site also draws in eastern vagrants, such as Prairie and Black-throated Blue Warbler, as well as occasional Southwest specialties such as Painted Redstart. Orange-crowned Warbler in Butterbredt Spring by Gary Woods/Macaulay Library. Like Central Park in New York City and Golden Gate Park in San Francisco, Mount Auburn Cemetery outside of Boston is an island of green in an urban ocean of roads and buildings. In mid-May, the big, old oak and maple trees (many planted in the first half of the 1800s) are crawling with caterpillars that look like wiggly, green energy bars to hungry, travel-weary warblers. One typical eBird checklist from May 19, 2018, contained 18 warbler species, including 30 Black-and-white Warblers, 25 American Redstarts, 30 Northern Parulas, 35 Magnolia Warblers, 18 Black-throated Green Warblers, and 12 Black-throated Blue Warblers. Northern Parula in Mt. Auburn Cemetery by Frank Lehman/Macaulay Library. The Texas Coast offers the first rest stop for millions of migratory birds flying across the Gulf of Mexico in the early spring. If these birds run into rainstorms or strong headwinds, they descend in massive numbers to the first available vegetation (the legendary fallout phenomenon). Sabine Woods in east Texas is always a good spring birding spot, but when conditions are right for a fallout, there could be thousands of birds in this Texas Ornithological Society sanctuary. Flocks of more than 100 Prothonotary, Tennessee, Hooded, and Bay-breasted Warblers have been recorded in single checklists. Cerulean Warbler in the Sabine Woods by Mark Scheuerman/Macaulay Library. While your local warbler hotspot may not produce quite such an extraordinary volume of migrants, by paying attention to landforms, shorelines, and other birders’ eBird checklists, you can narrow in on the best places around you. 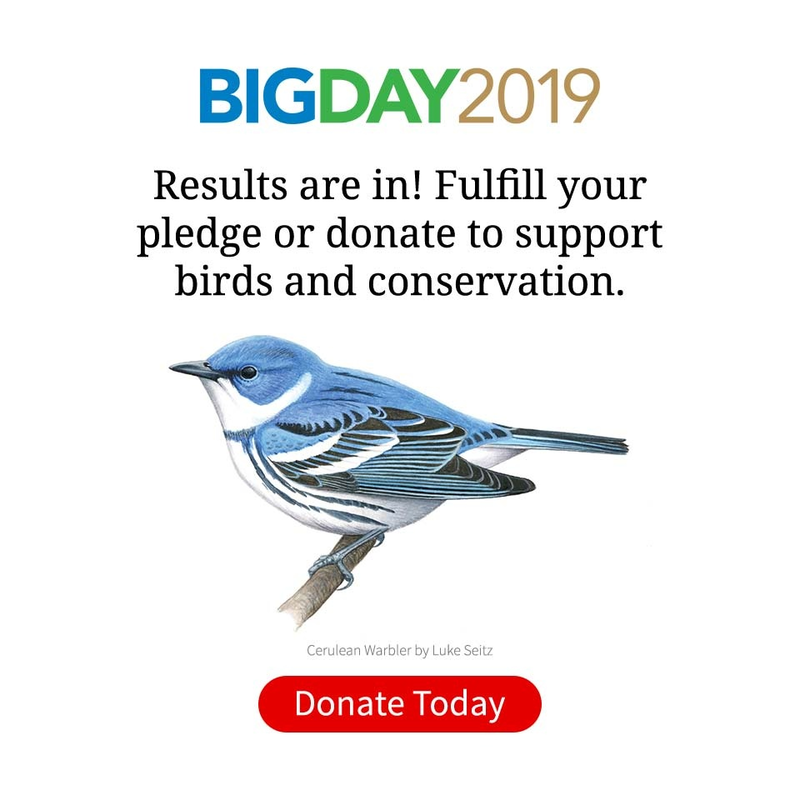 In Davies’ case, he and his friends had looked at previous eBird checklists from Tadoussac and found that the bird observatory there has been tallying large numbers of warblers on spring migration for the past 20 years. (It’s not widely known among English-speaking birders, but Quebec birders have been going there for decades.) Tadoussac’s geography is also conducive to massive warbler flights, as it sits along the St. Lawrence River, a large body of water (5 miles wide at Tadoussac) that is prone to funneling migrating birds along its banks. Landforms and waterways: Birds on migration often follow coasts, shorelines, river valleys, or the edges of mountain ranges. Good sites near water are often situated on peninsulas, funneling migrants toward the tip. Isolation: In landscapes dominated by farmland, desert, or urban land cover (concrete), migrant birds will pile into isolated patches of green space wherever they can be found—stands of willows, ranches with surrounding tall trees, or even city parks. Timing: Large numbers of warblers begin to arrive in early April along the Gulf Coast, but migration peaks in mid-to-late May at northern sites. Weather: All of the right landscape features might still add up to a bust if weather conditions aren’t favorable. Birders can monitor migration forecasts at Birdcast to maximize the chances of catching a big wave of migration. Learn how to interpret a BirdCast migration forecast.